RISING high on the suburban skyline, Sutton Point is a gleaming new mixed-use development taking shape on the fringes of south-west London. When complete, the scheme will offer 332 one, two and three-bedroom apartments and penthouses, 180 privately rented flats, an 80-room hotel, 59 serviced flats, a health and fitness centre as well as 20,000sq ft of retail space and 17,000sq ft of office space with basement parking. It’s quite a turnaround for a neglected corner of Sutton town centre. The site was previously occupied by a grim-looking office block and Sutton Point will occupy the same footprint. Developer CNM Estates has a great record in delivering successful mixed-use schemes in the capital and is in the process of building more than 1,000 residences, serviced apartments and half a million square feet of retail space. Founded in 2004, it works with local government, businesses and community organisations to regenerate underused and neglected areas. 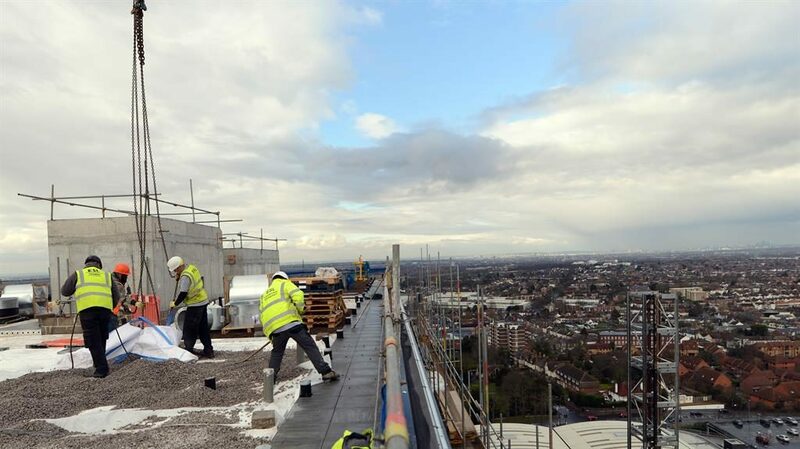 A good example of its recent projects include Tolworth Towers, in the nearby borough of Kingston. 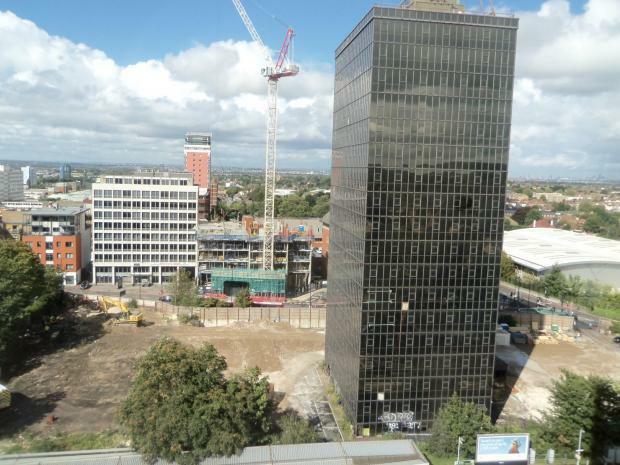 The well-known modernist tower is being sensitively refurbished alongside a new-build development, providing new shops and offices, a 132-room hotel, 386 residential apartments and extensive renovation of the public realm there. Sutton council is clearly placing much faith in Sutton Point by naming it as its number one site in its unitary development plan, which guides development, conservation, regeneration and environmental improvement activity in the borough. CNM Estates has contracted construction firm Ardmore to build the three elements of Sutton Point, while the PRC Group is behind the architecture. The privately rented flats are to be housed in the 11-storey East Tower, the private sale apartments in the 22-storey Central Tower and the hotel, retail and office space and services apartments will be in the 20-storey West Tower. Sean O’Shea, Ardmore’s project manager at Sutton Point, has been overseeing a scheme unique in that the construction work began before the demolition of the 15-storey cantilever tower was complete. ‘The demolition [started in March 2016] took six months and we had to take the tower down floor by floor,’ he says. ‘We were already working on the perimeter piling for the new buildings at the same time.’ Sean says all three of the new towers are being constructed using traditional methods with aluminium frame windows fitted and Trespa cladding. There has, however, been the complication of building so close to the railway line, which at the nearest point is just seven metres away from the site. This has necessitated the installation of movement censors during construction to ensure vibrations from the construction work do not affect the safety of the line. Despite the considerable construction challenges, this has been a surprisingly quick project, but then you could hardly accuse Ardmore of skimping on manpower. Each day sees at least 460 workmen on site. In terms of transport links, there will obviously be benefits to Sutton Point residents owing to the proximity of the rail line. Sutton station is a mere two minutes’ walk away and it offers a 28-minute service to Victoria. Commuters will also look to the link to Wimbledon and District Line services from there into town. Sean has also overseen excavation work going 12 metres down to provide the car park, which will provide 189 spaces and 430 bicycle storage racks and bin storage. But all in all, this development will be a huge benefit to the profile of properties in this area and the developers expect it to be a focus of achievement for Sutton.